About - Simplex System Controls Inc.
Simplex is a UL trained and certified facility which specializes in UL508a, UL1203, and UL698a. This includes hazardous locations (Class I, II and III; Division 1 and 2). At Simplex, we understand that the success of a company is interwoven with the success of its community. Through our involvement in professional organizations, leadership training, community outreach programs, and public speaking opportunities, we continually work to develop the skills and strategies of our team members while contributing to the knowledge and wellbeing of our community. Our attention to detail is reflected in the artistry of our panels. The clean layout and clear labeling goes beyond simply looking great; It results in a product that is built correctly, works effectively, and installs with ease. We always put our customers first. For this reason, a designated project manager will serve as your single point of contact, making your communications with Simplex both efficient and effortless. Since its inception in 1970, Simplex System Controls, a family­-run business, has maintained a strong history of providing high­-quality custom electrical and pneumatic control panels at a fair price. Barrett Gleixner purchased Simplex in 1983 from his childhood friend Julio Sparacino. 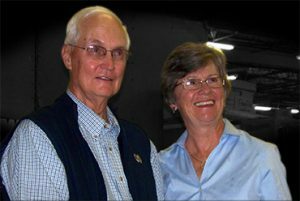 Simplex was a source of great pride for Barrett, a family-­man, who kept his children, and even grandchildren involved in the business. 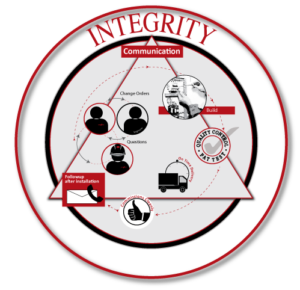 He built Simplex on the principles of integrity, trust, and loyalty to his customers, vendors, and employees. 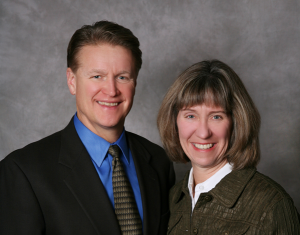 In 2008, Barrett sold the business to his daughter, Lianne Sundberg, and her husband, Kurt. Lianne grew up in Simplex with first-hand experience of the company’s inner workings, while Kurt brought his prior business management experience to the table. Together, this power duo has established Simplex as a premium supplier to customers across industry lines, while continuing Barrett’s vision of a highly principled approach to business. Simplex continues to be a leader in the control panel industry. 1970- Simplex System Controls, Inc. is founded and incorporated in Cicero, Illinois by Julio Sparacino. 1971- Simplex moves to a 5,000 square foot facility in LaGrange, IL. 1973- Simplex relocates to a new facility on Campbell Street in Chicago, IL, encompassing 10,000 square feet of office and production space. Simplex Metal is formed. 1974- Industrial Enclosure Corporation (IEC) is incorporated. 1977- IEC moves to a new location in Aurora, IL. To this day, they continue to maintain a strong business relationship with Simplex System Controls, Inc.
1979- Simplex relocates to a 50,000 square foot facility in Berkeley, IL, which also houses Tara Sales, a Texas Instruments distributor. Total Control Products is formed. 1983- Simplex is purchased and reincorporated by Julio’s childhood friend, Barrett Gleixner. IEC becomes an independent company under new ownership. 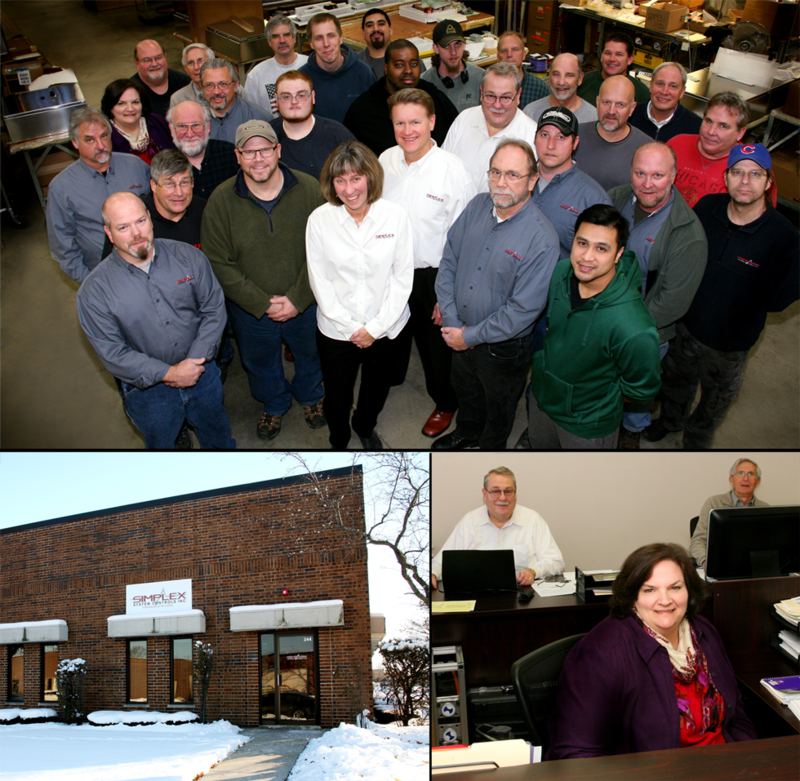 1986- Barrett moves the company to its present location, a 14,000 square foot facility in Bensenville, Illinois. 2008- Barrett sells Simplex to his daughter, Lianne Sundberg, and her husband, Kurt, while continuing to support Simplex as a consultant. Today, Simplex is a state of the art control panel shop with over $8,000,000 in annual sales. Our average employee tenure rate is 17 years. We have the highest quality control standards in the industry, serving prominent companies such as Kraft, Heinz, Mondelez, Mars, Wrigley, Nestle, Urschel Laboratories, Kinder Morgan, TransCanada, EN Engineering, CB&I, Foth, Grantek, and Rockwell. Our team leads the industry in knowledge, with shop employees averaging 17 years of experience and project managers averaging 24 years of experience. This allows us to provide our customers with a level of skill and expertise that only Simplex can offer. Our updated tagline is, “Quality First, Integrity Always.” At Simplex, we do more than furnish high-quality custom electric and pneumatic control panels; We are committed to dependability, leading with integrity, and delivering the Simplex Promise to our valued customers. 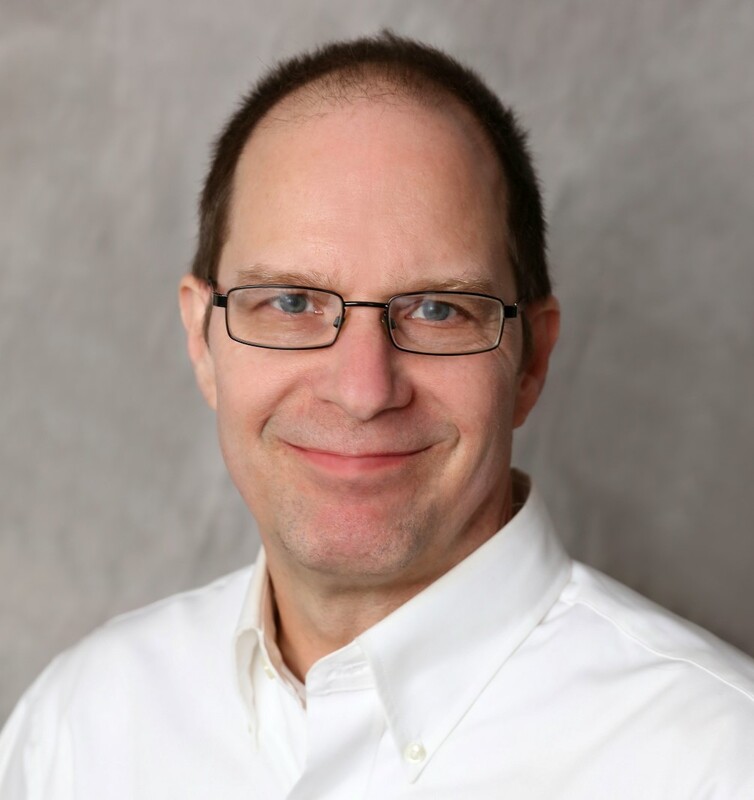 Kurt Sundberg’s entire career has been centered around superior customer service, process efficiency, strong supplier partnerships, continuous improvement, and being a life-­long learner. For 24 years, he honed these skills through training and execution in previous positions with Arthur Andersen and McDonald’s Corporation. Using the knowledge and experience gained in these roles, Kurt has continued to build Simplex’s reputation and presence in the marketplace since becoming company president in 2008. He values working with a strong, cohesive team, being a well­-run, operationally-­efficient company, and producing a high-­quality product. Kurt’s firm commitment to expanding upon the outstanding reputation of Simplex System Controls has driven the company’s success through superior quality control, control panels commissioning cleanly in the field, and on­time delivery. Simplex System Controls has been a part of Lianne Sundberg’s life for as long as she can remember. As daughter of the owner, she spent her childhood summers soldering circuit boards, helping in the front office, and taking dictation letters from her father as they drove to work. After earning a BS in math and computer sciences from the University of Notre Dame, working at Arthur Andersen World Headquarters in Chicago, and taking time to raise three boys, Lianne found her way back to Simplex. 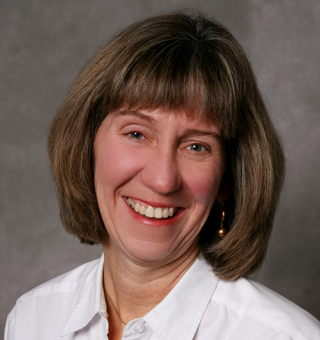 She and her husband, Kurt, purchased the company in 2008, at which time she became co-­owner, vice president, treasurer, and secretary. In 2012, CFO was added to her responsibilities as well. A lot has changed over the years, but Lianne’s commitment to excellence and devotion to running Simplex with care and integrity, as her father did before her, has remained at the forefront of her mission. 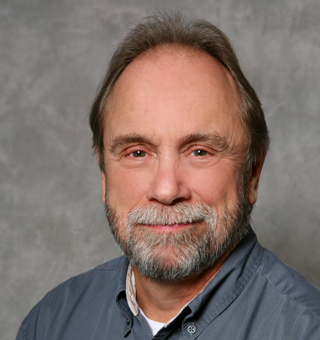 For the past 40 years, Gordon Merry has gained a wealth of knowledge as a leader in the control panel industry. The many years he’s spent building control panels has given him the ability to anticipate an accurate timeline for our clients, foresee and avoid potential obstacles before they occur, and appreciate the efforts of Simplex’s dedicated workers. Throughout his twenty­-five years as General Manager of Simplex System Controls, Gordon has lead our employees by example,­ valuing teamwork, strong communication skills, patience, and effort. He considers himself to be a life­-long learner and, as such, he consistently seeks new and better ways to improve our processes and efficiency so that we may continually exceed our clients’ needs and expectations. 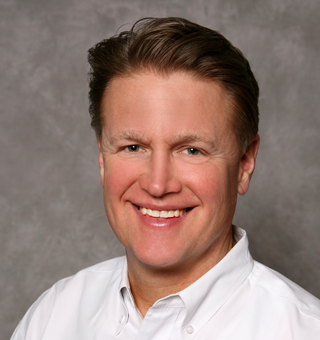 In 2006 Ed Couch’s tenure with the Simplex team began. 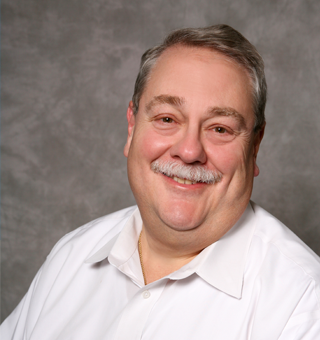 He joined as a seasoned professional in all areas of process control equipment fabrication. His sales and management experience make him a great fit as supervisor on our manufacturing floor. His broad industry background includes skills honed in the auto and airline industries. In 2001, Mariusz Domowitz joined the Simplex team. He worked as lead wireman until 2008 when he moved to the position of quality control technician. Over the next 8 years, Mariusz worked alongside the quality control manager to ensure the Simplex standard of excellence was met in every product. This experience, in conjunction with his previous 25 years in the field, prepared him to take over the role of quality control manager in January of 2017. As quality control manager, Mariusz reports directly to the CEO and oversees the testing of control panels and systems, ensuring that all hardware commissions cleanly in the field. He is committed to providing our customers with a high-quality product they can trust, and feels honored to be part of a company where people take pride in the work they accomplish together. Mariusz enjoys leading his team through encouragement, recognition, and sharing in each other’s success. 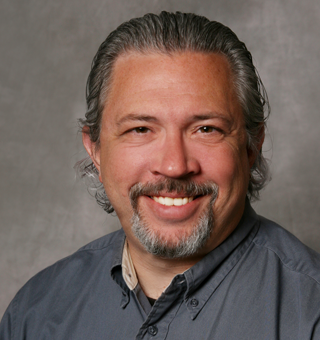 Upon studying math and physics at the University of Illinois at Chicago, Chris Janiec joined the Simplex team in 1995. He began as an electrical technician and then held the role of quality control manager for 8 years before ultimately becoming a project manager. Currently, Chris serves as his clients’ single point of contact, develops project quotations, oversees project completion, purchases materials, and arranges shipments. 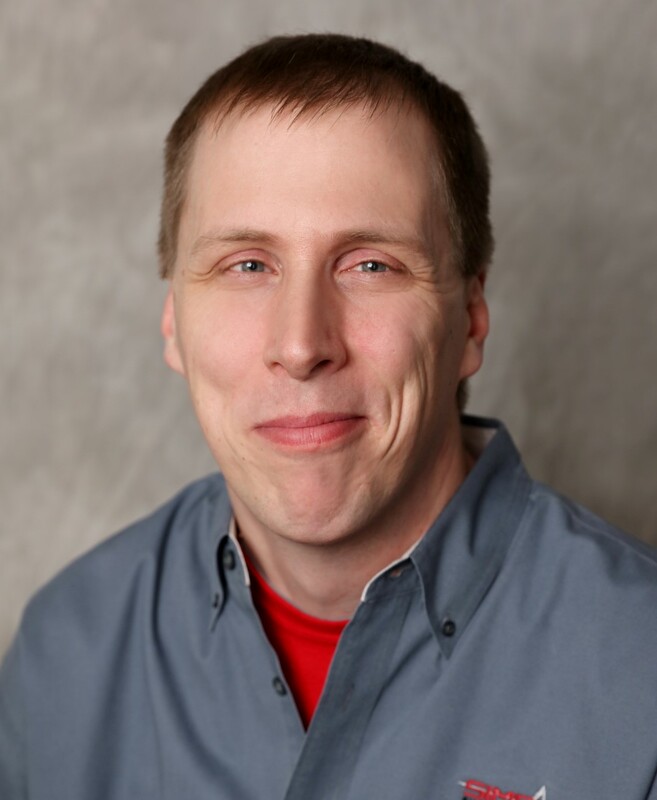 His specialized knowledge of RSLinx Networking, RSLogix Configuration, TI Soft Configuration, and UL documentation requirements ensures that the builds he oversees will seamlessly meet the needs of his clients. 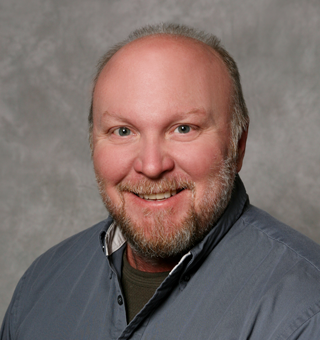 In 2010, Ron McCarthy became an integral part of the Simplex team, bringing 27 years of prior experience with him. 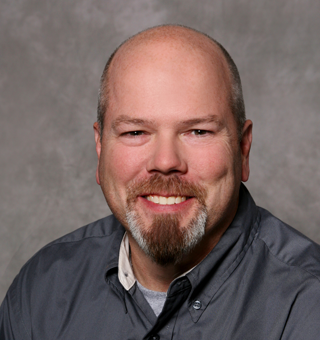 Ron began his time at Simplex as a wireman and moved up to the position of project manager in 2011, where he currently works to oversee a smooth building process for his clients. As first point of contact for his Simplex accounts, Ron manages delivery schedules, purchases material for projects, and works one on one with group leaders and control panel builders to ensure correct builds and timely deliveries for our clients. Prior to his career in the electrical industry, Ron was a carpenter and heavy machine operator. Since 2006, Grant Miazga has worked his way up the ranks from shipping to wireman, quality control tech and now quality control manager. He is personally and professionally vested in the work. As the quality control manager, Grant ensures that every product built is thoroughly tested. As a former electrical wireman at Simplex, he thoroughly understands the complexities of producing custom electronic and pneumatic control panels. Our guidelines for quality begin with the contractual obligation to meet each customer’s specification. Most often the requirements are at the request of that customer’s engineer. Secondly, the work he produces and the panels that the team builds are governed by industry standards. Third, our team manufactures these panels to specification, and Grant inspects each panel, every wire, all switches and parts for functional-quality. He makes sure that every product we ship meets the customers’ and industry standards, plus he makes sure we uphold the rigorous guidelines set by our Simplex System Control’s brand image. 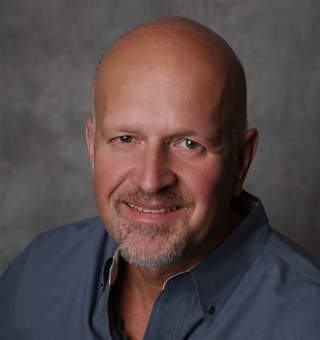 As the first Business Development Manager of Simplex System Controls, Ron is committed to developing the integration of the sales and marketing processes. His focus on producing new business, retaining current clients, and developing best practices has resulted in countless positive relationships between Simplex and other companies. His responsibilities include preparing quotes, maintaining current vendor relationships, upholding the Simplex brand, and communicating Simplex’s unique value. Ron earned his Bachelor’s degree in Electronic Engineering Technology from DeVry Institute, as well as Lean Six Sigma Green Belt. Prior to joining the Simplex team, Ron worked as an Engineering Project Manager and has experience as a sales and marketing professional. Since joining Simplex System Controls in 1996, Van Williams has used his expertise to not only deliver the best product to our clients, but to also develop the skills of our team. He began his career at Simplex in wiring and quickly moved on to quality control manager 3 months later, a position which he held for 8 years before becoming a project manager. As our resident UL specialist, Van handles accounts in the food, spray technology, and manufacturing industries. His vast knowledge and experience has granted him the unique ability to anticipate his client’s needs and fill in the blanks to ensure the build meets their specifications, timeline, and budget. Van earned his degree in Industrial Technology from Eastern Illinois University. Kevin has been with Simplex since 2008. He started as a wireman and gradually gained more management responsibility, first earning the position of Assistant Shop Supervisor, then stepping up to become Shop Supervisor in 2017.As Shop Supervisor, Kevin is responsible for monitoring the flow of work in the shop to meet customer project deadlines, working with all other employees to determine work priority and adapt to productions issues.Kevin worked in a retail environment prior to coming to Simplex, working in a variety of positions from sales to management, both customer facing and behind the scenes, each of these positions requiring an attention to providing excellent customer service and meeting or exceeding customer needs.Kevin has an Associates degree in Applied Science. Outside of work, Kevin volunteers as a soccer, basketball and baseball coach, plays softball and water skis. He is also the President of a local Junior High School Sports Booster. Simplex believes that building a better future depends on collaboration, volunteerism, and education. Our involvement with local chambers of commerce and professional associations keeps us in tune with market trends and economic forecasts while granting us the opportunity to help other business owners learn from our experiences. We appreciate the importance of education, often lending our knowledge to future generations through speaking engagements at high school career days and encouraging continuing education within our own company. Since the beginning, Simplex has focused on people. We recognize that our employees, vendors, and customers are the core of our company’s success, and it is our duty to do everything in our power to assist them. We are grateful that we have the ability to extend this philosophy beyond the business world to give back to the people of our community. Supporting the basic needs of local families through food drives and fundraisers is an honor that brings us great joy. TMA represents over 800 manufacturing companies and 35,000 employees in Illinois. They support industry by providing educational opportunities, industry representation, and services to foster member company global competitiveness. Governed by a Board of Directors composed of representatives from member companies, TMA represents and promotes the interests of all members, serving as a forum and a clearinghouse for the exchange of ideas and information. 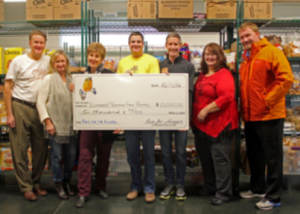 The Elmhurst-Yorkfield Food Pantry (EYFP) was started in 1983 by concerned citizens who saw a need to help hungry people in their own backyard. 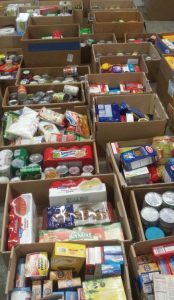 Their purpose is to distribute food to residents of neighboring communities in need, including those in Elmhurst, Addison, Bensenville, Berkeley, Hillside, Lombard, Oak Brook, and Villa Park. Since 1957, Vistage has made a difference by bringing together groups of successful executives across a broad array of industries. The goal: more success. Each group is designed to help members help each other improve their businesses and their lives. CEOs who joined Vistage grew their companies at three times the rate of the average U.S. company and according to a 2015 Dun & Bradstreet study.